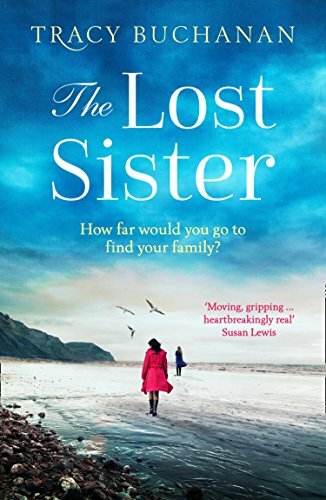 Today’s book tour features an extract from Tracy Buchanan’s new book called ‘The Lost Sister’. Mike shot me a disapproving glance. ‘Fruit or nothing,’ he said, grabbing his car keys. He gave Becky a kiss on the head then waved at me before letting himself out. There was once a time when he’d kiss me before leaving for work. Five minutes later, we walked to Becky’s school. It was a breezy day, still warm though, the skies blue, the sun bright, the sea glimmering in the distance. People were either walking to work or coming back from dropping kids off, dressed in shorts and T-shirts, sandals and flip-flops. financial advice firm in town. There had been rumours of redundancies the year before but nothing had come of it. What if Mike was made redundant now? Would I have to go back to working full-time again? The thought sent a dart of fear through me. Better if they made me redundant from my senior copywriter job. It wasn’t like I was pulling in much on my three-day salary anyway. I put my sunglasses on, pulling up the straps of my silky red vest top to cover my bra straps, my black skirt skimming the back of my knees. Everyone else around me was wearing pastel colours, but I liked to be bold: blood reds and stark blacks, azure blues and emerald greens. I had earrings to match, necklaces sometimes too. You can buy The Lost Sister from Amazon and will be available to buy from good bookshops from 20th September 2018. On the book tour for Tracy Buchanan’s new book ‘Her Last Breath’, enjoy an extract from the story. Estelle’s doorbell went, shattering the memory. ‘Do you mind just waiting a moment while I answer the door?’ she said, wondering who it might be. She skipped down the hallway, adrenaline buzzing from her interview. It made it all feel even more real, having a national newspaper journalist in her kitchen, talking about her life. Maybe she wasn’t such a fraud after all. She opened the front door, surprised to see the son of her local butcher on the doorstep. Then she remembered she had a delivery due that day. ‘Of course! Come in, William,’ she said, leading the young red-cheeked teenager to her vast kitchen. He smiled shyly as he carried in the large wooden crate, various meats wrapped in white crinkly paper inside it. ‘Just here will be great,’ she said, gesturing to the kitchen top closest to the fridge. He placed it down and Estelle pulled out a five-pound note, handing it to him as a tip. ‘They don’t usually do deliveries, but it’s impossible to lug around all the meat on the back of my pedal bike,’ she said. ‘So I sweet-talked the owner of the local butcher to do a weekly delivery. I think it’s important to support independent businesses whenever possible, and I’m lucky enough to be able to do so. Plus, it’s mega cheap,’ she added with a wink. Estelle smiled, hiding the slight note of worry she felt. Her publicist Kim had been the one to come up with the idea of inviting her local suppliers to the launch. What better way to highlight just how clean and local Estelle was by having her butcher and greengrocer at her launch party to mingle with journalists? But now she was wondering if it would seem a bit contrived. Would people see through it? Would they see through her? 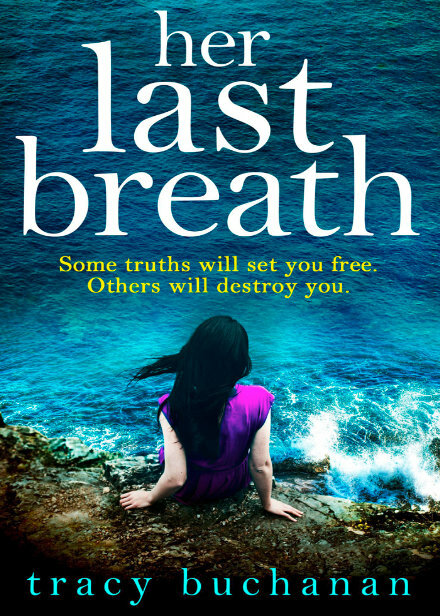 You can buy Her Last Breath from Amazon and is available to buy from good bookshops. The cover has been revealed for Tracy Buchanan’s new book, ‘Her Last Breath’ and it’s very intriguing. When fifteen-year-old Poppy O’Farrell goes missing a media frenzy ensues. None of this has anything to do with lifestyle blogger Estelle Forster – so why would someone send her a picture of the missing girl and a note, claiming to know Estelle’s secrets? To find out, Estelle must return to her coastal hometown and the shameful past she thought was long behind her. A dangerous game is being played, and the answers lie in the impenetrable community Estelle once called her own. Perfect for fans of Liane Moriarty, C.L. Taylor and Clare Mackintosh, this addictive, twisting, emotionally powerful book will have you hooked until the very last page. You can pre-order Her Last Breath from Amazon and will be available to buy from good bookshops from 29th June 2017. If you enjoyed Tracy Buchanan’s debut novel, ‘The Atlas Of Us’ then you will be delighted to know that she is returning with a brand new book called, ‘My Sister’s Secret’. This sounds like an absolutely gripping reading and I can’t wait to get stuck in. 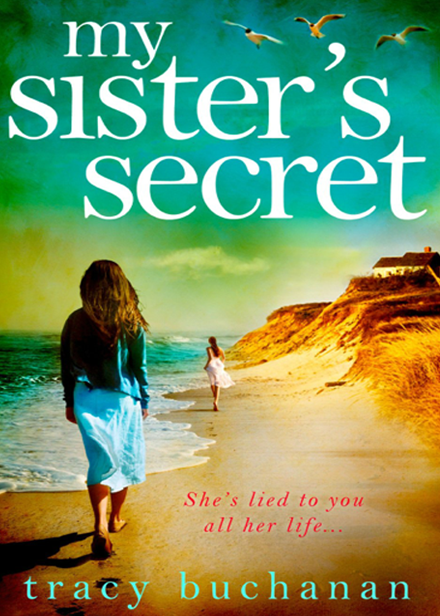 You can pre-order My Sister’s Secret from Amazon and will be available to buy from good bookshops from 13th August 2015. ‘The Atlas Of Us’ is Tracy Buchanan’s first book. Louise Fenton flies to a devastated Thailand to search for her mother, missing following the Boxing Day tsunami. The only trace she can find is her mother’s distinctive bag. Inside it is a beautifully crafted atlas belonging to a writer named Claire Shreve. But what is the connection between Claire and Louise’s missing mum, and can the atlas help Louise find her? As Louise explores the notes and mementoes slipped between the pages of the atlas she learns the story of a life-changing revelation, a tragedy and a passionate love affair. And she uncovers a secret that nearly destroyed Claire and the man she loved – the same secret her mother has been guarding all these years. ‘The Atlas Of Us’ is Tracy Buchanan’s debut novel and is one of the most powerful and memorable books I have read this year. The story has quite an impactful beginning, starting right at the point when the Boxing Day tsunami hit Thailand in 2004. I remember that day, enjoying the relaxation of Christmas, the excitement of new books and treats and as the horror unfolded on the news in front of me, everything seemed insignificant as people lost their families, their homes and their lives. Having not spoken to her mother for a number of years, Louise finds herself in Thailand trying to find her mother. Stressed and scared at what she will find amongst the carnage, she finds support from her old neighbour who is now living in Thailand. Together, Louise and Sam, find themselves on a remarkable journey as they search for Louise’s mother through the debris, when they find a woman clutching her mothers bag with an atlas inside and with the aid of the mysterious atlas, they unravel some secrets. The story then flashes back over the years, to a young travel journalist called Claire who has literally travelled in her fathers footsteps and discovered the world. Heartbroken at the thought of not being to conceive, her marriage is in tatters. Whilst reviewing a new hotel in Exmoor, she meets Milo, a reclusive and handsome farmer that she has a connection with, an understanding and a yearning to discover more of life. But just as they get close tragedy strikes and Claire finds herself back with her husband Ben trying to make their marriage work but Milo is still in her thoughts and as much as she tries, finds herself back with Milo and travelling the globe just like the couple imagined. As a token of his love, Milo gives Claire an atlas and she stores tokens of their adventure together. But things aren’t simple and bad luck seems to follow them on their travels. Using the atlas, Louise and Sam piece together how Claire had come into her mothers life and what lead them to that fateful day. For a first novel, I thought it was vividly written conjuring up strong images of the tsunami of the fear and the horror aswell. Tracy is a travel writer and this was also very apparent in her writing, describing paths less well travelled as well as sumptuous foods, the book was like a holiday itself without having to leave the comfort of your bed. The characters are all quite complex and all ones that you can feel a strong empathy for. Louise has lived a life not getting on with her mother and hopes that finding her alive will give them a second chance at the friendship whereas Claire has always craved to be a mother and feels without being able to carry a baby makes her less of a woman but Milo is there to reassure of herself, but he has troubles of his own, with the curse of the “James family” he finds himself the centre of family drama and conflict. I truly loved this book and envied Tracy for writing such a compelling debut, cleverly interlinking fiction with non-fiction, she writes a passionate love story with an intriguing twist that makes the book impossible to put down. I thought her characters were relatable with their strong urge to find their loved ones as well as try to find their happy ever afters. 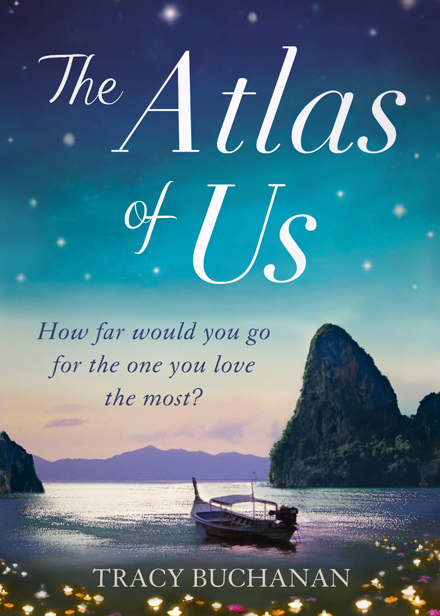 A roller coaster from the very beginning, ‘The Atlas Of Us’ is a haunting story about new beginnings and second chances and a honest story of how sometimes even the strongest of love can go wrong. A highly recommended read!